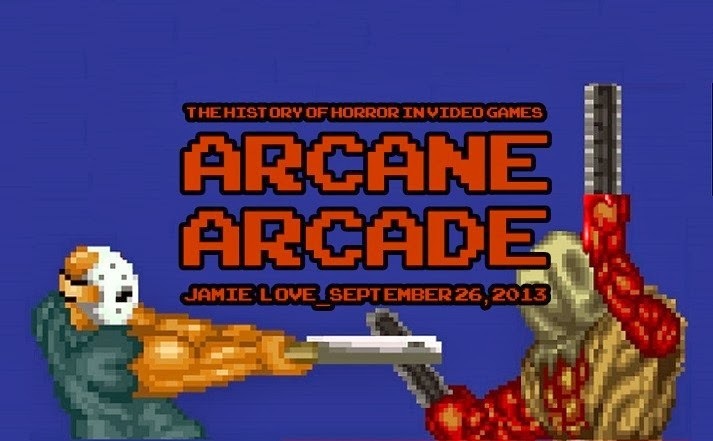 The Horror Section: Arcane Arcade. The third semester of the genre lecture series The Black Museum kicked off last Thursday with Arcane Arcade: The History of Horror Video Games. Jamie Love talks horror in gaming. 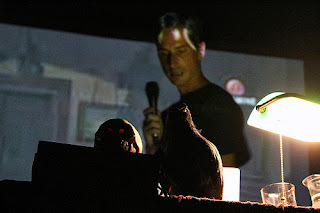 The lecture was broken down into three sections, consisting of origins, survival horror and indie horror. For the former, Love went right back to the beginning with the Magnavox Odyssey's venture Haunted House in 1972. This was an elaborate little game, that Love compared the instructions of which were like “assembling Swedish furniture.” It involved the use of an external deck of cards, a screen overlay and a minimum of two players, which already sounds more complicated than it needed to be. From there, Love moved onto the Atari 2600, which is where my home gaming experience began. In 1982, Atari released Haunted House, which had you (shown as a pair of eyes) moving around a darkened house looking for pieces of an urn, while avoiding all manner of creeps. I was never able to get my hands on this game as a child, but it bore a strong resemblance to Adventure – the third game I got for the system – which had you travelling between one to three castles (depending on the three levels of difficulty) looking for a chalice, while slaying dragons and avoiding a thieving bat. They both even had a light/dark mechanic – the first in gaming – where you could illuminate your way around your surroundings. 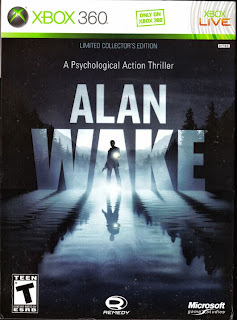 A year later, Love explained that after Atari had lost a legal battle to prevent other companies from developing games for their system, the first movie-adapted properties started appearing for the system, like The Texas Chainsaw Massacre and Halloween. 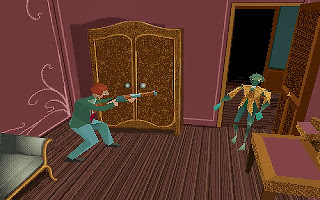 They were archaic, but TCM was the first – and still one of the few – horror games that you were able to play as the antagonist as you to took control of Leatherface and tasked with mauling as many people as possible before your chainsaw runs out of fuel. 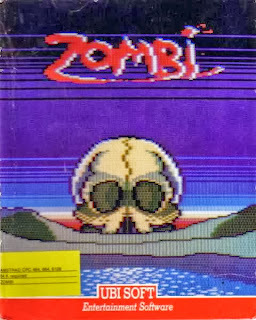 The first title in Love's talk that I'd never heard of was Ubisoft's first release in 1986 for the Amstrad CPC called Zombi. As you may have guessed already, it was inspired by Romero's Dawn of the Dead. You took control of four characters in an abandoned mall during a zombie apocalypse. 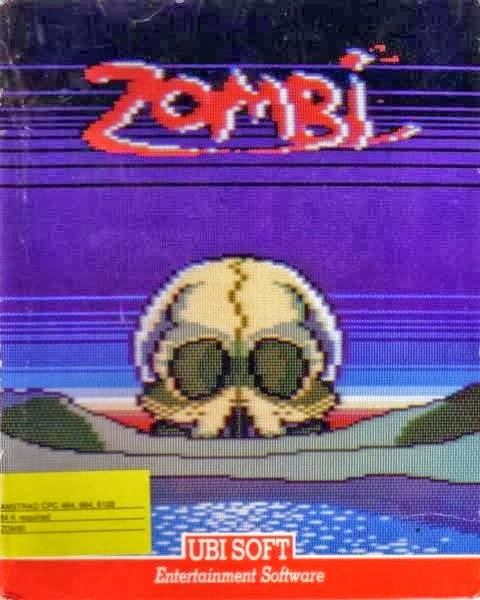 I'm bummed I never knew about this game because it was ported to the Atari ST in 1990, so I could have if I'd known. I have to remember than living in suburban Ontario, I really only had access to top tier titles. And then came Nintendo. 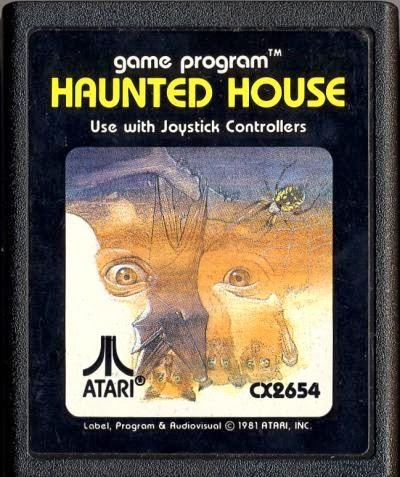 Love was quick to point out that due to Nintendo's stance on violence, there were very few – if any – straight-up horror games on this console, but there were several very popular titles that used horror themes and tropes, including Ghosts & Goblins, Castlevania and even Metroid. 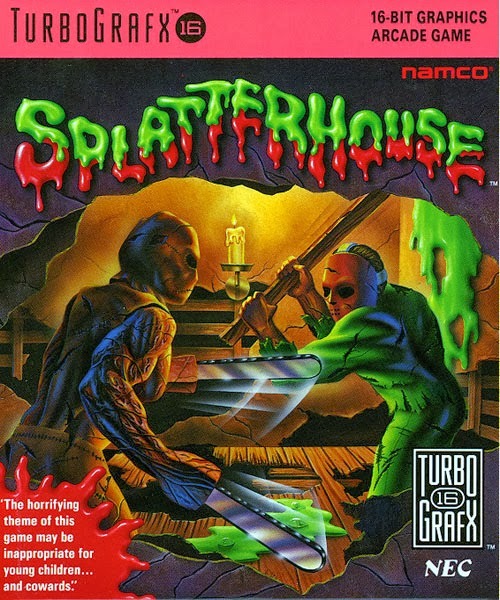 Nintendo didn't even dip its toe into the horror merchandising pool until late in its cycle with the notoriously horrendous Friday the 13th and Nightmare On Elm Street games. Jamie Love showing off one of gaming's most notorious missteps. It was here, in this area between 1989 and 1996 that Love said ushered in the rise of survival horror to gaming, which began with the Famicom title Sweet Home. 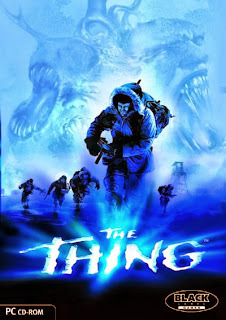 It was never released domestically, and was, in actuality, a movie tie-in. 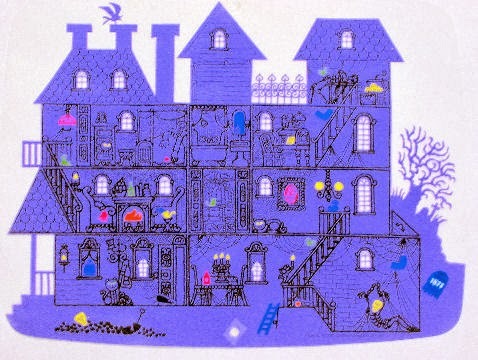 By design, it was an RPG, but instead of having a entire world to explore, like in similar titles like Final Fantasy, you were confined to a mansion. However, the game mechanics of exploration and item management would later become survival horror cornerstones. 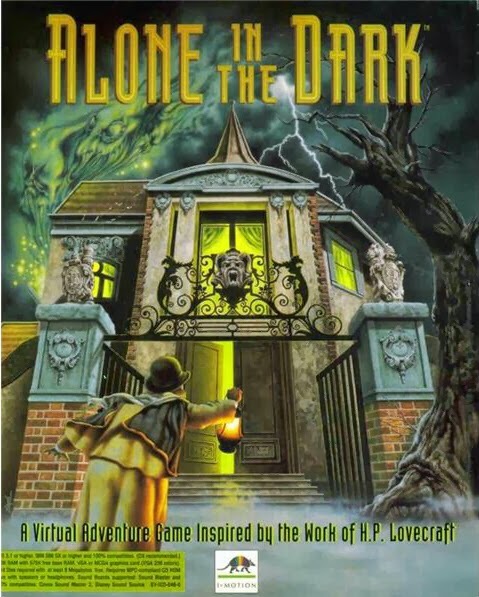 Love then brought up the first important title of the survival horror genre, Infogrames' Alone In The Dark. This game, released in 1992, was revolutionary for its 3D rendered characters moving in static backgrounds and the ability to choose between two different characters. This title would pave the way for all survival horror games that came after it. That year also brought us the Sega CD, and the ability for titles to employ full-motion video. 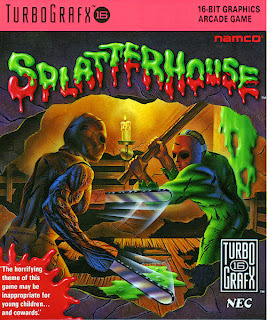 This brought a slew of horror titles, most notably Night Trap. Unfortunately, Love said, this level of realism brought with it criticisms that could no longer be ignored by congress. The infamous blood-draining scene from Night Trap. 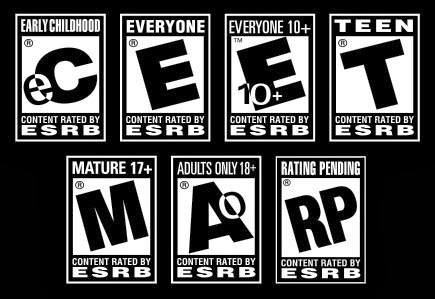 This would eventually lead to the creation of the Entertainment Software Ratings Board, or the ESRB. 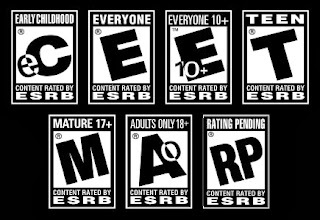 From then on, much like the MPAA for films, all game titles would need an official rating based on their content to get any type of official release. 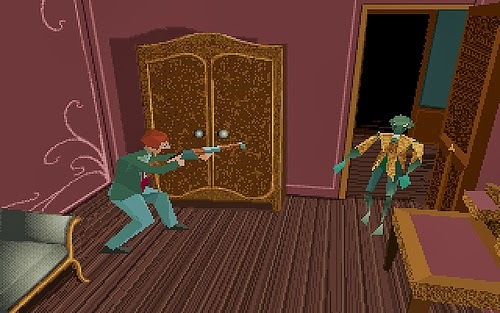 Over the next few years, Love stated that horror crept into a few other gameplay styles, from first-person shooters (Doom, Half Life) to point and click adventures (Clock Tower). The latter is significant in that it involved “run and hide” mechanics as opposed to actual combat, as well as one of the first instances of Quick Time Events in the form of a “panic button”. 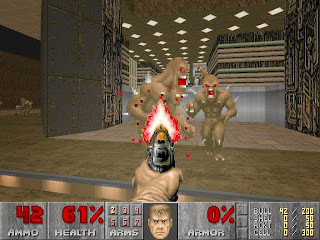 1996 was a banner year for horror games, as it included a number of releases. 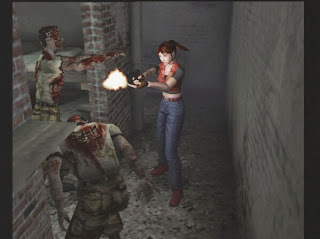 The light-gun shooter House of the Dead would become popular in Japanese arcades and subsequently here, as well as the game D, which was the first time full 3D rendered CGI characters were used in a game. 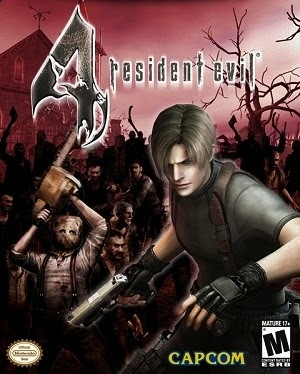 The real reason though, as Love pointed out, was the release of the flagship survival horror series, Capcom's Resident Evil. This ushered in the golden age of survival horror, and the Sony Playstation would see the release three monster titles – what would become known as the Raccoon City Trilogy – over the next few years, as well as many others like Parasite Eve, Enemy Zero, the aforementioned Clock Tower and RE clone Dino Crisis. 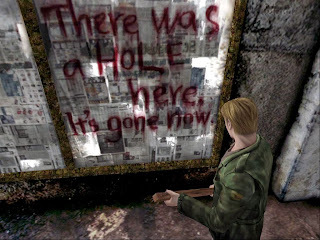 From that, Love announced the other “goal post” of survival horror, Konami's Silent Hill. The next generation of gaming at the turn of the millennium, brought forth a quartet of new systems and tons of new horror content. 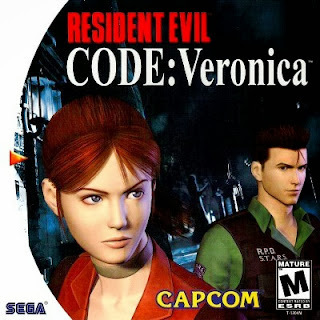 One of the most significant had to be Resident Evil Code: Veronica on the Sega Dreamcast. 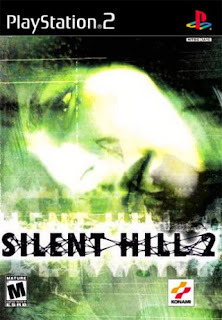 A pillar horror release on the Playstation 2 was Silent Hill 2. 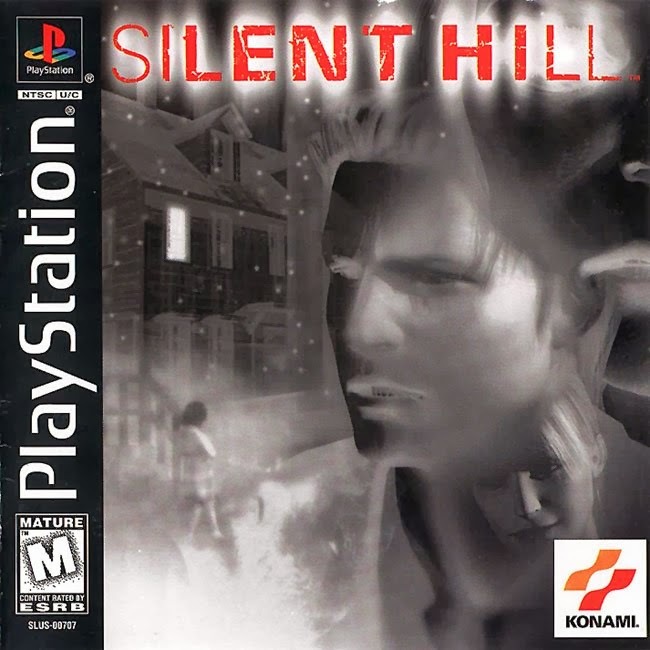 This one, which bore no connection to the previous game, featured a man arriving in Silent Hill after receiving a letter from his deceased wife. Love spoke of this game with a great fondness. Love then brought up that this generation also saw Nintendo finally embrace horror with the Gamecube. They re-released all the previous Resident Evil games, as well as bringing out two exclusives, RE Zero and the super important Resident Evil 4. Capcom had again raised the bar, with a new engine, over-the-shoulder camera mechanic and a sizable bump in graphics. There were also a lot of games based off horror movies put out in the '00s, the most significant of which, Love stated was The Thing. 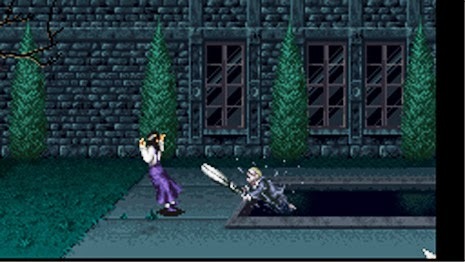 Though the mechanics were clunky at times, there were several new ideas bandied about in the game, including maintaining the trust of the other computer controlled characters (via a trust meter) and not freezing to death outside. Love then brought up another game that I'd never heard of, SCEI's 2003 experimental title, Lifeline. The voice recognition element sounds incredibly fascinating to me, even though the level of frustration involved would probably rival that of those old text adventures from back in the day. Around this time, first person shooters were also evolving. F.E.A.R. 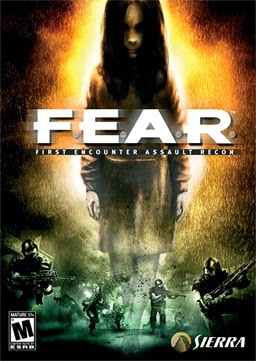 capitalized on the current Asian horror film craze by utilizing many of its tropes, and the melee combat within Condemned: Criminal Origins sought to raise the level of intensity. 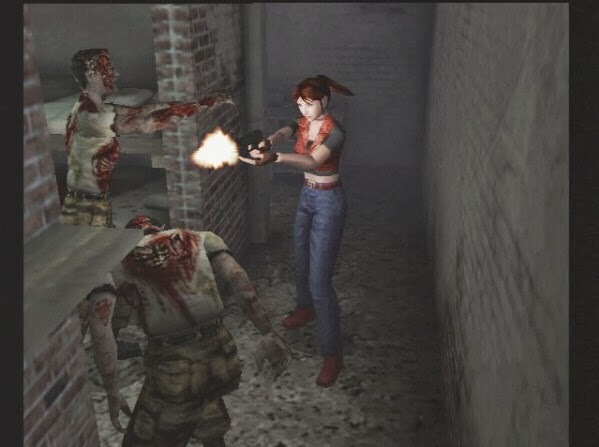 Love then said that it was around 2006, when survival horror really started to emphasize action gameplay. The mechanics brought in by Resident Evil 4 would be refined and used in subsequent titles like Dead Rising, Left 4 Dead and my personal favourite horror franchise, Dead Space. Following that, was Resident Evil 5 in 2009, which in my opinion still stands out as one of the best co-op experiences I've ever had. 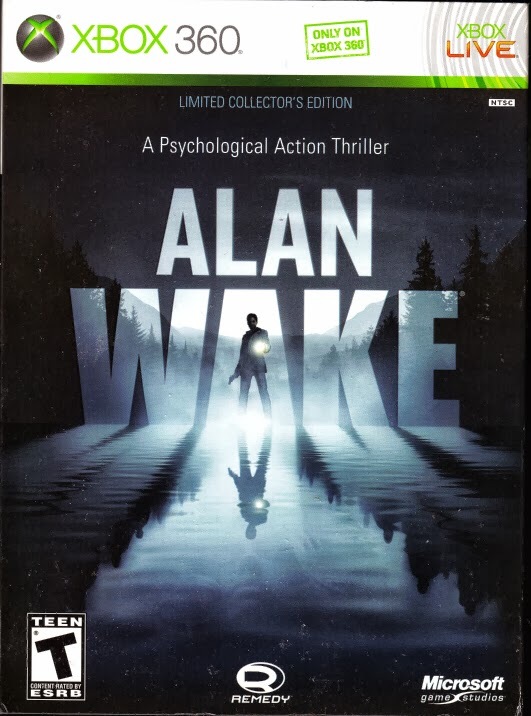 Love then talked about one of his favourites, the 2010 Xbox title Alan Wake. 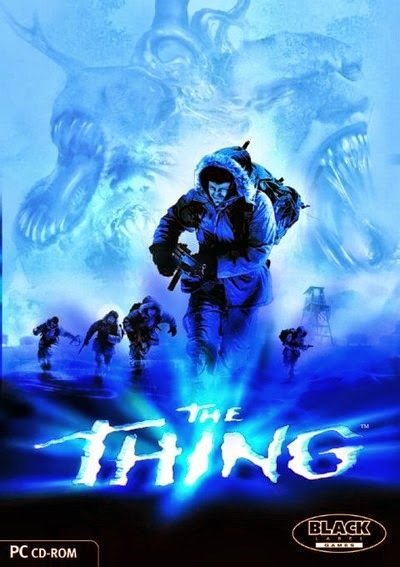 He trumpeted the wonderful Stephen King-like narrative, the light/dark combat mechanic as well as its perfect blend of East & West gameplay sensibilities. 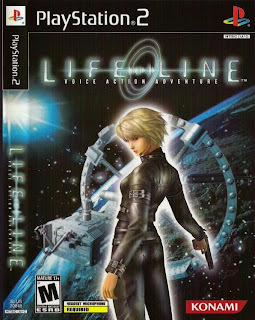 I have to admit, this is the only title that I regret not experiencing because of my allegiance to Team Playstation. However, I wouldn't trade my memories of Heavy Rain for anything. 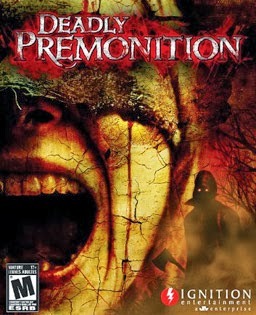 Love also mentioned Access Games' Deadly Premonition. 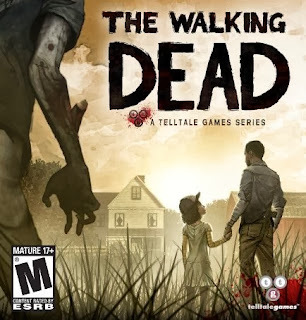 Love pointed that with the rise in popularity of zombies in pop culture, gaming has followed suit with countless “zombie simulators” over the past few years, including Day Z, Dead Island, State of Decay and Zombi U. 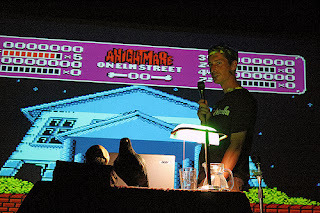 It was then that Love concluded his lecture with the third and final leg about indie horror, which included titles like Home, Lone Survivor, Slender and Outlast. The most notable, of course, was Telltale's episodic game, The Walking Dead. The main gameplay mechanic of having to “make horrible choices in a horrible world” made for one of the most affecting game experiences in years. 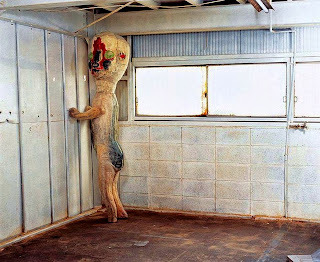 Probably the most interesting thing I learned during Love's lecture was the existence of The SCP Foundation – which I will most likely be devouring for the next few weeks. A (fictitious?) database of dangerous objects and creatures from around the world, it has so captured the imagination of its readers that it has inspired a few video games. 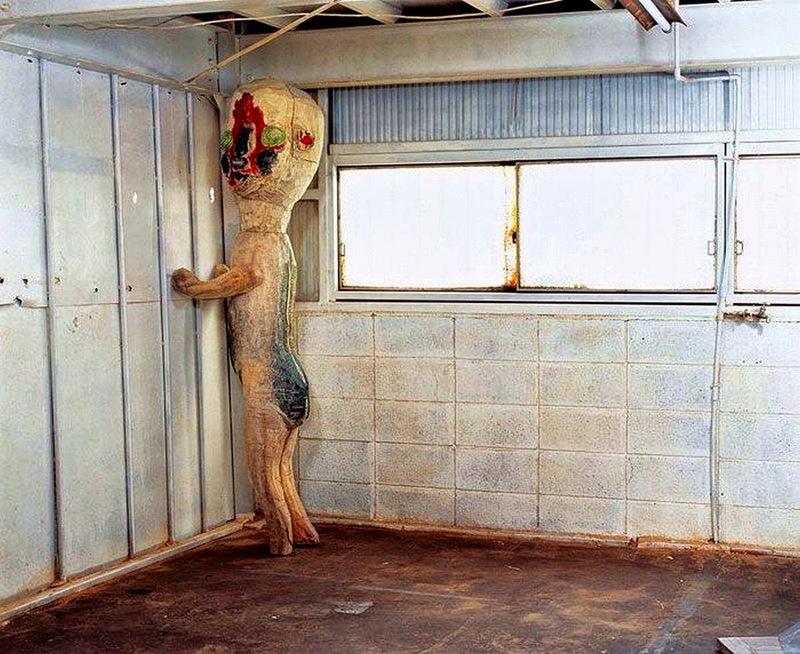 SCP-087 involves a staircase to nowhere, and SCP Containment Breach involves you escaping a research facility that houses all sorts of perilous creatures, including THIS! It was here that Love gave a brief rundown of what is coming up in the future before wrapping things up. These included the PS3's Until Dawn, Bethesda's The Evil Within, and perhaps most importantly a possible reboot – as Capcom realizes they may have to once again reinvent it – of Resident Evil. In addition to the talk, there was also an added element to this edition of The Black Museum. 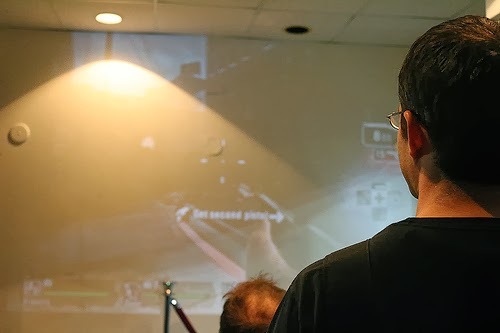 Curators Paul Corupe and Andrea Subissati had set up some video games in the lobby, which included Slender on an iPad, Splatterhouse on a laptop and Left 4 Dead projected on the wall. A little Left 4 Dead. I had a blast at this. I think my only criticism was that there was no video during the proceedings. 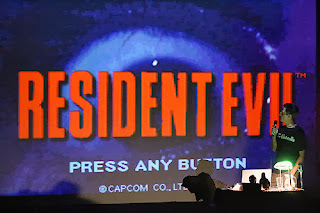 Though Love had prepared a lot of terrific slides – a hundred and forty apparently – it would have been nice to see some of those classic video game moments, like the seminal zombie dog jump scare in the original Resident Evil, or the first appearance of Pyramid Head from Silent Hill 2, unfold on the big screen. I understand the technical limitations of the event, so I'm not broken up about it. This was a great start to the third stanza and I await the second one in a few weeks called Black Glove Ballads, where Mark Hasan will cover the artistry behind the music of the gialli. For more info on The Black Museum, click here. Trailer Tuesdays: Q The Winged Serpent.